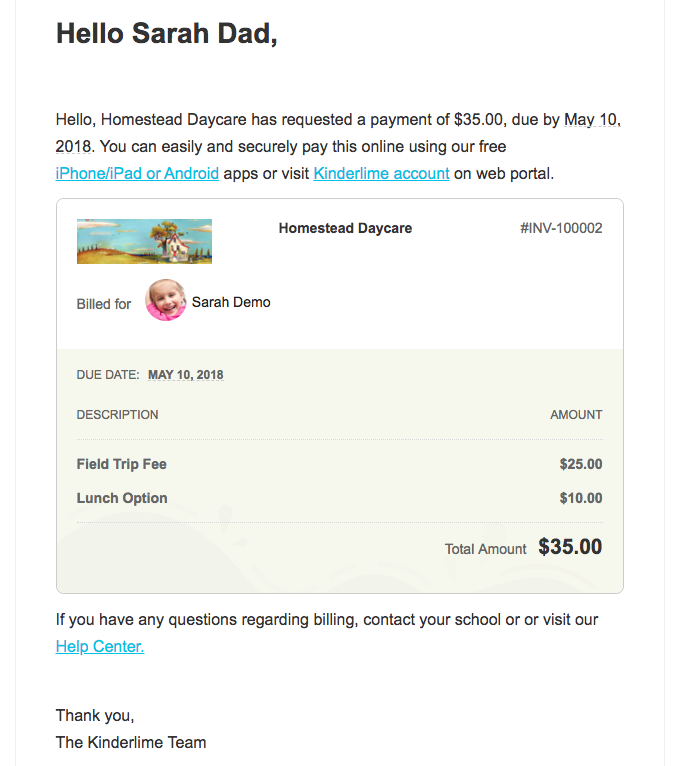 When sending out invoices to parents, you may want to include your school's logo so that parents will know that the invoice has indeed come from your school, and will respond accordingly. The logo must be 300 x 100 pixels so that it appears properly on all invoices for parents. Log on to the Kinderlime website and go to School Settings > Settings. Click on the gray logo box. Select the file you want to use. The rectangular field highlights the part of the image that will be saved for your logo. You can move the rectangle up and down to focus on different parts of your image. When you're done, hit "save." 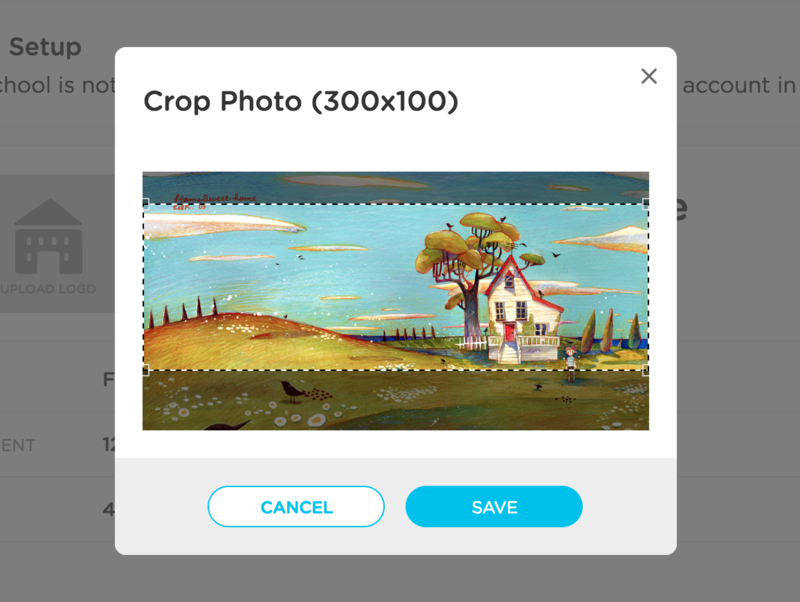 You'll be able to see your saved image on the settings page, and click on it again if you need to make any changes. 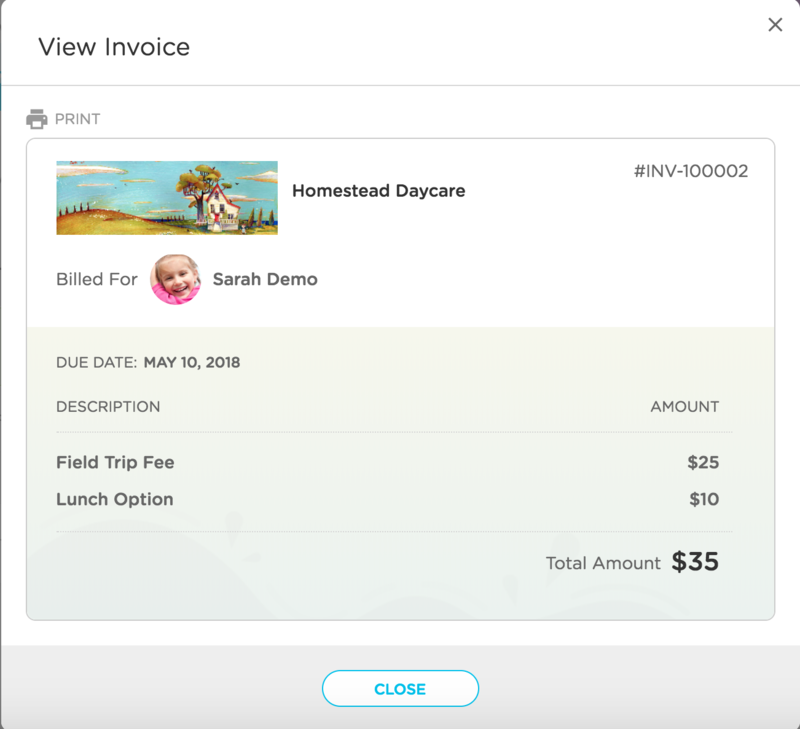 You can preview any invoices or create a test invoice to see how it will appear for parents.